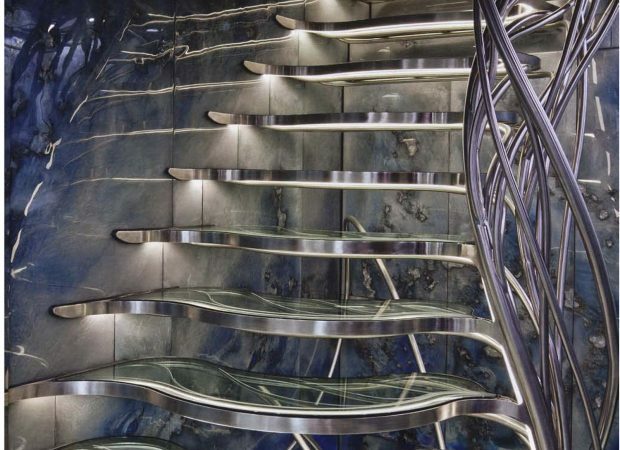 We worked alongside creative design studio Based Upon to develop the bespoke staircase lighting for this exquisite staircase on a private yacht in Monaco. 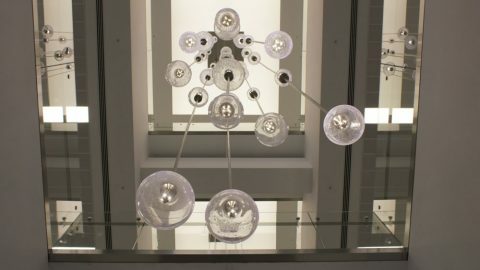 We designed the staircase lighting to offset the Based Upon panels surrounding the feature and also manufactured the bespoke lighting & travelled to Monaco for the installation. 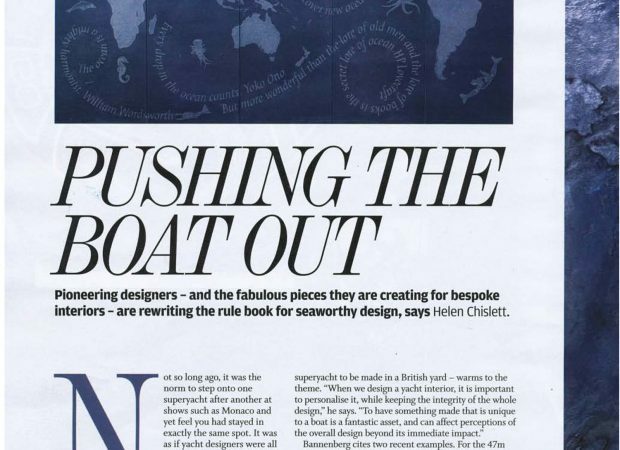 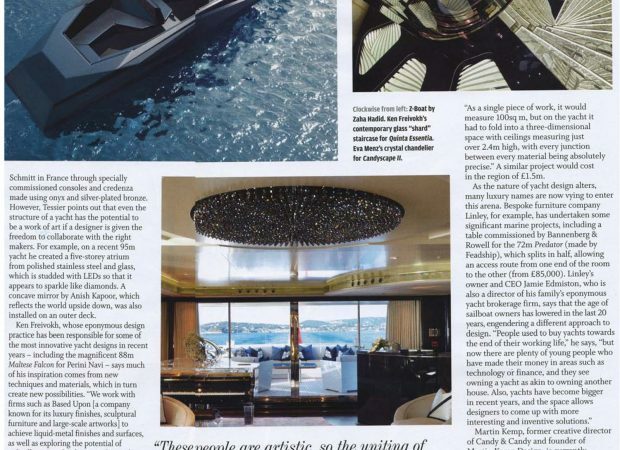 The Financial Times recently featured the staircase in their ‘Boat that Rocks’ article on interior design in private yachts – see the full article below and larger image on our portfolio.